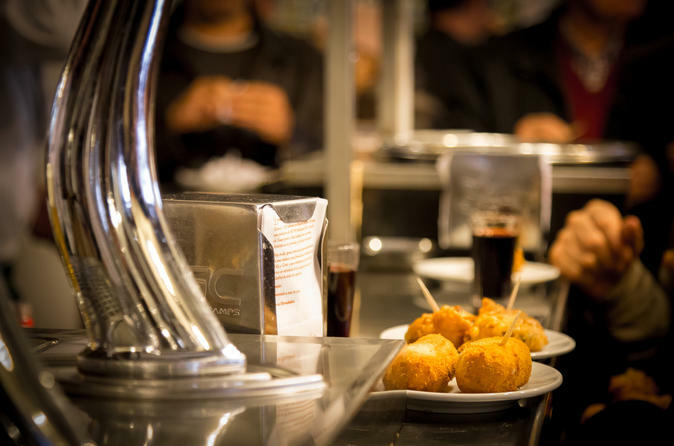 In this all included tapas tour, discover Madrid’s vibrant tapas scene alongside a knowledgeable guide during a 3-hour evening tapas tour of the city. 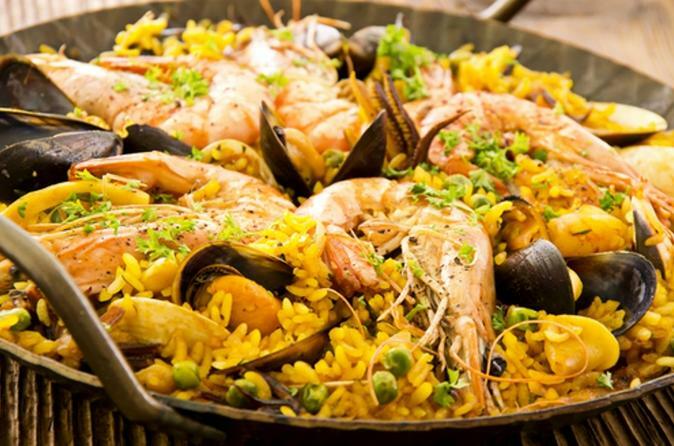 Stroll around the ambient streets of Madrid in the evening and visit at least four of its most popular eateries; sample up to 10 tantalizing tapas dishes while learning about the city’s rich culinary heritage. Sip refined wines and pleasure your palate on this excellent epicurean experience. Numbers are limited to 12 on this small-group tour, ensuring personalized attention from your guide. 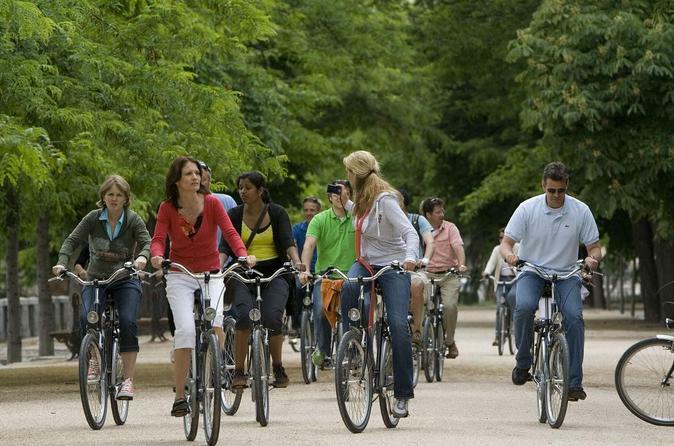 Take this fun Madrid cycle tour and see the city at its best! 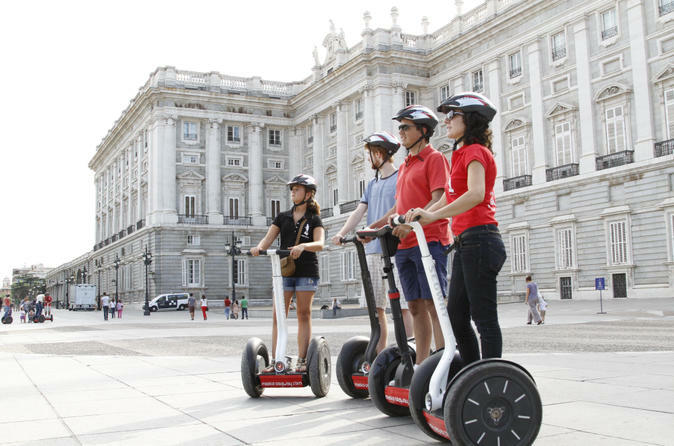 Visit all the famous sights, from the Royal Palace and Retiro Park to Plaza Mayor and Puerta del Sol. Touring Madrid by bicycle is a fun and sociable way to sightsee, and with plenty of rest stops there’s time to see the sights. 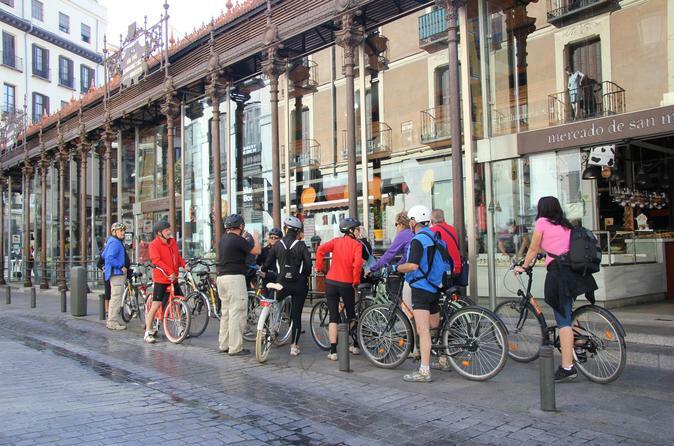 Suitable for all cycling abilities, the Madrid cycling tour also includes a brief orientation session. 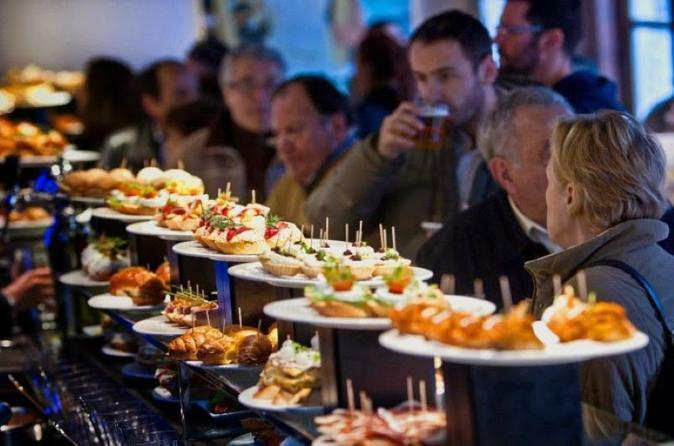 Book a tour with all tapas and drinks included and get an inside look into tapas culture. 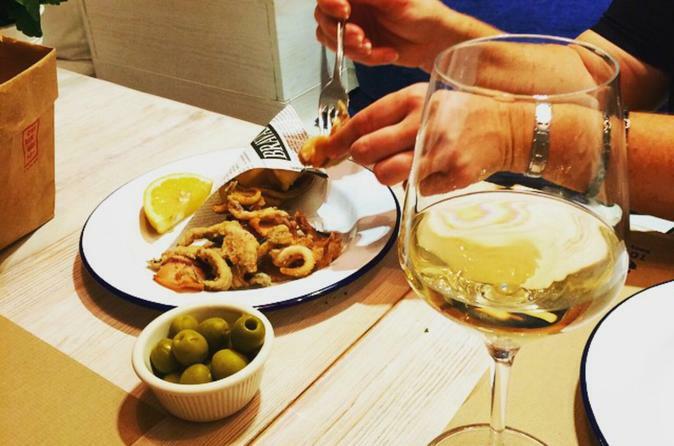 Streetwise local guides will take you to the best tapas places and hideouts in the city. 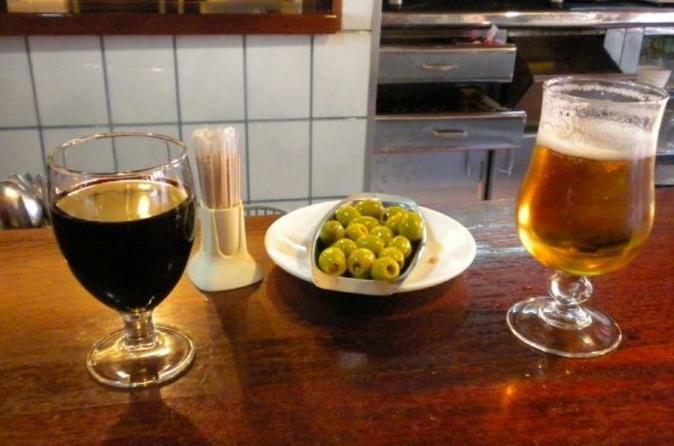 You’ll visit 4-5 venues and enjoy drinks and authentic tapas at each stop. Visit 3 wineries and taste more than 10 wines in Madrid Wine Region (D.O Vinos de Madrid). Escape the metropolitan mayhem of Madrid in favor of the verdant vineyards of Vinos de Madrid on a full-day Spanish wine tour. Accompanied by an accomplished guide, explore the beautiful wine-making region and learn about complex production processes in atmospheric wine cellars, known as bodegas. 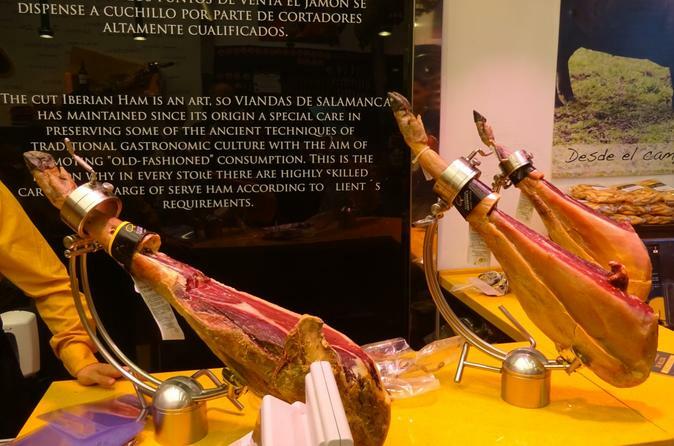 Sample signature wines grown in the area and gain fascinating insight into the culinary heritage of Spain’s capital city on this enriching epicurean tour. 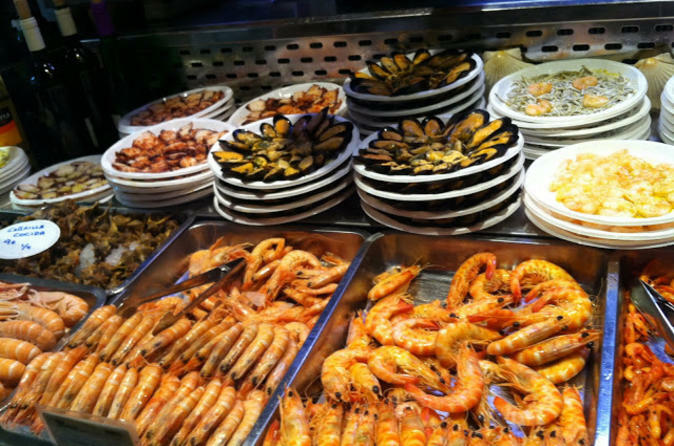 Get acquainted with the city’s world-class culinary scene on this 4-hour tapas walking tour in Madrid. With a local guide at your side, uncover foodie hotspots across three different neighborhoods. Brush shoulders with the locals at a lively, central market, and then stroll through Madrid’s literary quarter and the Lavapiés district to taste some of the freshest, most delicious tapas in town. Numbers are limited to 12 on this small-group tour, ensuring personalized attention from the guide. Get early access to the Royal Palace of Madrid with this 2-hour Viator Exclusive tour, not available anywhere else. Get acquainted with the residence of the Spanish Royal Family, including parts of the palace that other visitors don't have access to. See the lavish Throne Room, the Royal Pharmacy and the Royal Armory. Learn about the history of the monarchy in Spain and how the palace's decorations have changed over time through your guide's informative remarks. Visit the verdant 19th-century English-style gardens, which include 2 remarkable neo-classical fountains. 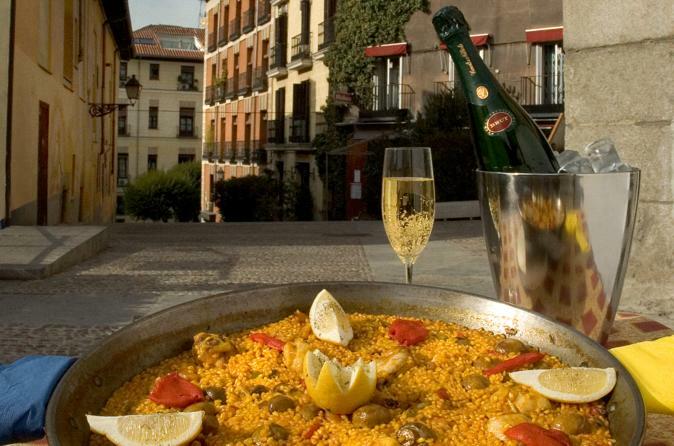 Join your local guide and wine connoisseur for a 2.5-hour walking tour that takes you through the centre of Madrid and allows you to discover the best restaurants of the capital in which you will taste the exquisite wines of Spain. This is the only tapas tour in Spain where all wines come from a private cellar and are rated between 95 and a 100 points by the top wine guides. Discover the prestigious wine region of Ribera del Duero from Madrid. 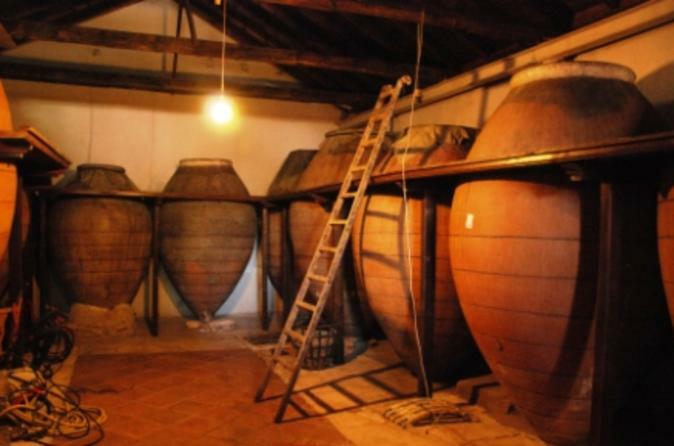 Depart Madrid in the morning and after about two hours of you will reach the first winery in Ribera del Duero. Next visit the premises to learn the process of winemaking in this part of Spain. After a commented wine tasting, it is free time for a traditional lunch with more wines of Ribera. Continue with another tasting and after you visit a site of historical interest, like one of the many castles in this Castilian land. 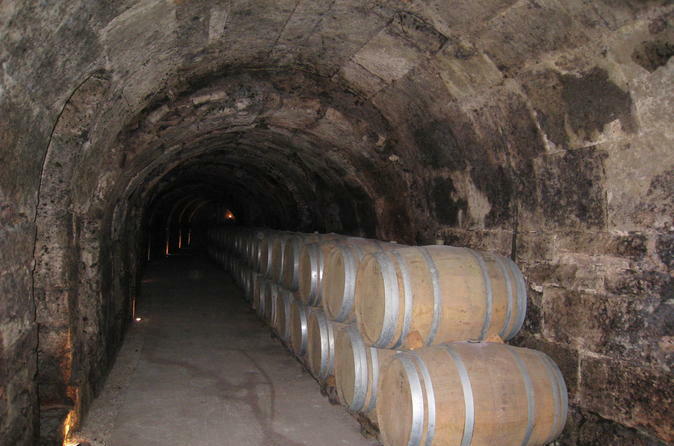 Visit a third winery, making different style wines and of course, taste them. And a last stop at the picturesque city of Segovia to have a nice panoramic tour before departing to Madrid. 10 hours to discover Ribera del Duero. The selection of wineries depends on the availability of each day, but in all cases it will be excellent Ribera wine. The tour for a true wine lover. Enjoy this 3-hour bike tour that will give you the chance to see the best sights of Madrid in a fun way. The distance covered is approx. 14 kilometres / 9 miles. Additionally you will learn about legends, art and gastronomy while doing sport and having a good time with other travellers. This day trip from Madrid takes you to the two historic towns of Pedraza and Segovia for a splendid day of sightseeing and exploring. Travel back in time as you wander the cobblestone streets of Pedraza, one of Spain's most beautiful walled medieval villages. 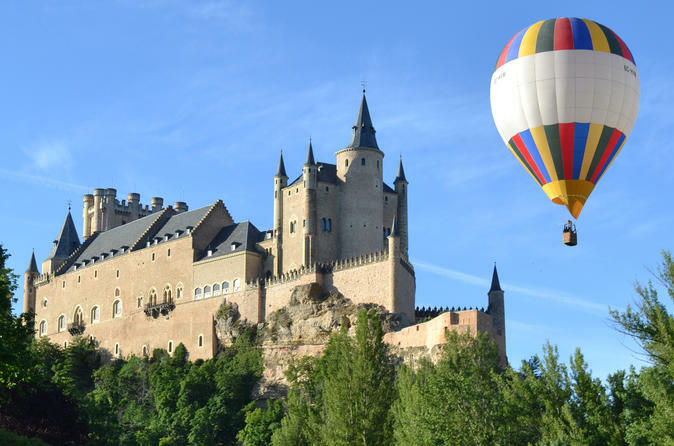 Enjoy a glass of local wine with tapas before heading to nearby Segovia to visit a preserved Roman aqueduct, elegant Segovia Cathedral and the Alcázar of Segovia (Segovia Castle), one of the most distinctive castle-palaces in Spain (which inspired the castle in Disney’s ‘Cinderella'). This small-group tour is limited to 20 people, ensuring you’ll receive personalized attention from your guide. 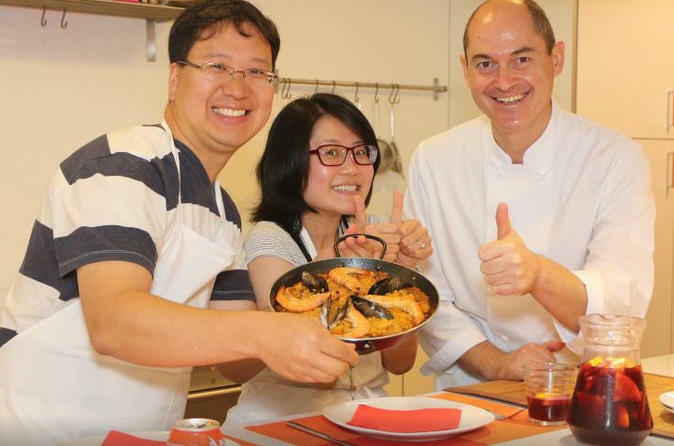 Delve into Spanish history and culture on this 4-hour Madrid historical walking tour with food tasting and dinner. 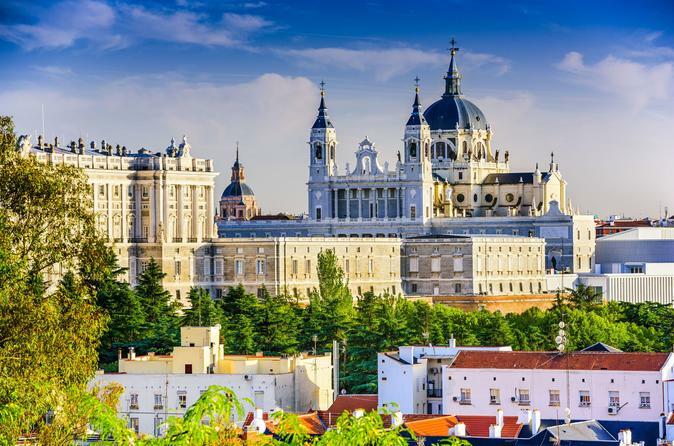 Stroll through the winding centuries-old streets of Madrid’s city center while your guide illuminates the history of highlights such as Plaza Mayor, the Royal Palace, and Puerta del Sol. Along the way, stop at some of Madrid’s most popular family-run tapas bars to sample the local specialty, paired with Spanish wine, sangria, and liquor. "Flying with friends" Flying in a hot air balloon is an amazing experience that you will remember forever. Ballooning is both a serene and thrilling activity, offering breathtaking views and a feeling of freedom that is unique. 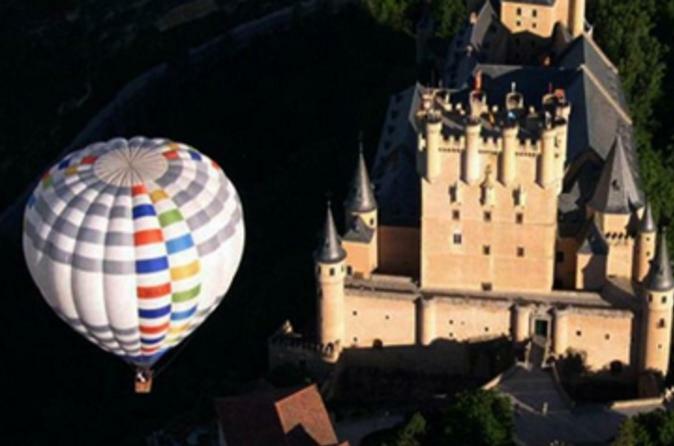 Wonder at the beautiful Alcazar of Toledo or Segovia Aqueduct from the sky and discover the area's landscape and wildlife hundreds or even thousands of feet below. 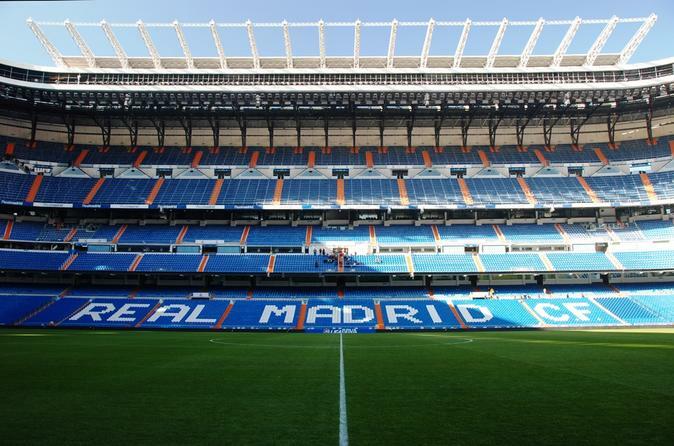 Hit new heights in Madrid on a 2-hour rooftop tour that showcases the city’s stunning skyline! 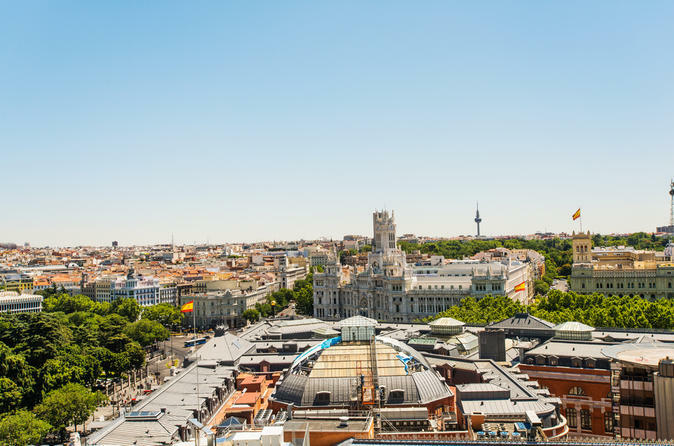 With a friendly local guide at your side, scout out 3 to 4 rooftops around central Madrid that allow you to see the city from different angles. Look out for big-name monuments such as Madrid Royal Palace (Palacio Real) and the Prado Museum, and learn all about the city’s history and sights and have your camera ready to capture the views! Numbers are limited to 15 on this small-group walking tour, ensuring personalized attention from a guide. 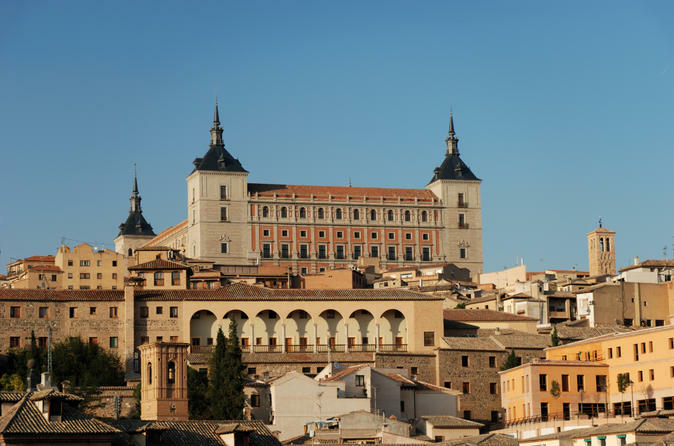 Get to know the ancient city of Toledo, a UNESCO World Heritage Site, on a 5- or 8-hour day trip from Madrid! Choose to see the city at your own pace with a driver, or upgrade to include a guide and learn about the city’s rich architectural and religious history! 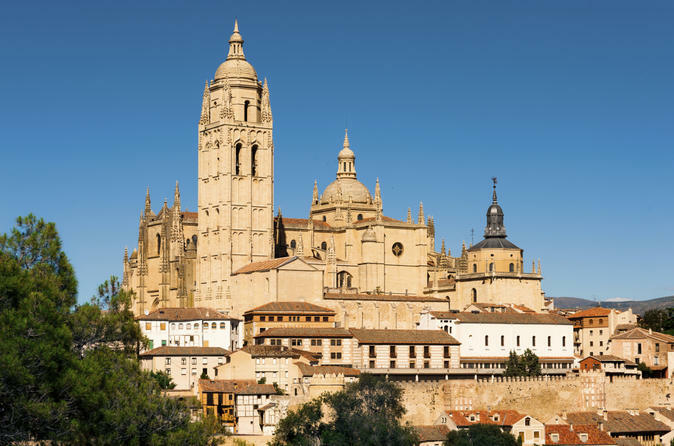 Tours take place by minibus or minivan (according to the number of passengers), but if you want to spend longer in the city, select the option to travel by express train ticket from Madrid instead. See attractions like Catedral de Toledo (Cathedral of Toledo) and explore the tangle of lanes in Toledo’s charismatic Old Town.